Treatment Opportunities for Chemotherapy Induced Peripheral Neuropathy - Piedmont Physical Medicine & Rehabilitation, P.A. Cancer is a serious illness that requires the use of some very strong medicines for treatment. 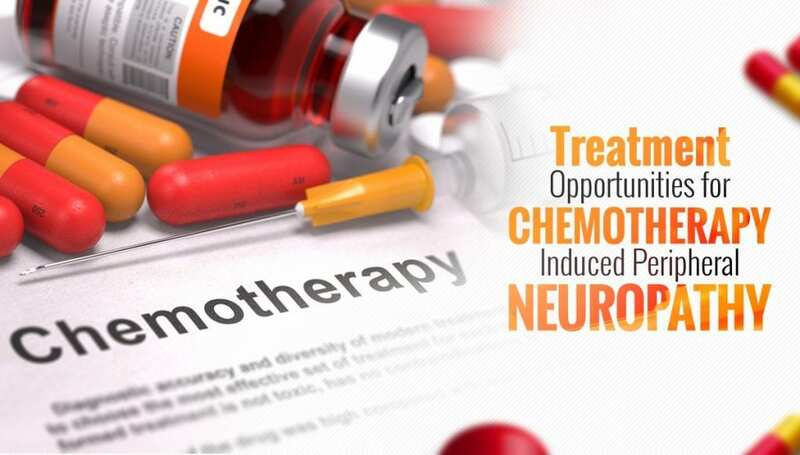 Chemotherapy is one of those medications, and while it has proven to be successful in treating cancer, it also has some adverse side effects, including peripheral neuropathy. Peripheral neuropathy is a set of symptoms caused by damage to the nerves that control the movement and sensations of our legs and arms. Some chemotherapy drugs used to treat cancer can cause damage to these nerves. When this happens, it is called Chemotherapy Induced Peripheral Neuropathy, or CIPN. CIPN can be debilitating, but some treatments can help reduce nerve damage and aid the body in healing itself without the use of other harsh drugs. While there are several medications available to help with the symptoms of CIPN none of them actually reverse disease. In this article however we are going to review several options that are intended to do just that. Realief (a company in Minnesota and affiliated with the University of Minnesota) Laser therapy can be used to treat CIPN. In medically published journals itd has been proven to to be successful in reducing both the signs (physical findings) and symtoms (your complaints) of peripheral neuropathy. While Realief uses laser therapy biomodulation to help restore nerve endings to normal the power of the treatment resides in the software application. There are no side effects with this therapy, and depending on the severity of the condition, patients may only need an initial phase of care that may last for 2-3 months. Results are often seen in as little as 4-6 treatments. Quite frequently when there is peripheral neuropathy there are also signs of vascular disease. Naturally a reduced blood supply is not ideal for nerve healing so anything we can do to increase blood flow to the limbs should be considered if there is an element for vascular disease. Several simple tests are available to assess for associated vascular disease and the treatments are simple and painless. The injection of medication close to nerves are known as nerve blocks. They relieve neuropathic pain symptoms by disrupting pain signals to the brain. For the most part they provide short-term, but often an immediate relief however in some cases lasting relief may occur as well. Sometimes nerve block medications include steroids which are intended to reduce inflammation as well.cs. People who suffer from back pain are sometimes prescribed an epidural steroids . If steroid is used the hope is to provide long term relief once inflammation is reduced. Some nerve blocks are intended to be more permanent. These include the surgical nerve block, where a surgeon removes targeted parts of the nerves, and neurolytic blocks where the affected nerves are destroyed by one of several ways in order to to stop the release of pain signals. Neurolytic injections, radio-frequency ablation, and cryogenic (freezing) techniques can all be effective. Naturally which method to use is best determined by your doctor after he evaluates your case individually. Prolotherapy is an injection technique that pulls your body’s natural growth factors to an area in order to promote healing, typically of ligaments. While it is not really thought of as a treatment for CIPN since so many neuropathy patients have associated ligament damage restoring those ligaments to normal often can provide dramatic relief. PRP therapy is a regenerative treatment that involves the enriching of blood plasma with regenerative platelets. The plasma is taken from your own blood, concentrated, and then injected into the affected area. The procedure is gentle on the body and promotes natural healing. Stem cell therapy is a gentle yet effective procedure that uses the body’s stem cells to repair and regenerate damaged tissue. During this treatment, the stem cells are either extracted and concentrated from your own bone marrow or adipose fat tissue, or harvested from placental tissue, and then injected into the affected area. Stem cells, in this case, are inserted into the soft tissue around the nerve area. There are several treatment options available for people who suffer from chemotherapy-induced peripheral neuropathy. Some treatments are regenerative medicines that help to treat the root cause of the problem while providing pain relief, while others are more conventional and treat only the symptom. At Piedmont PMR, we believe in using the simplest method possible to achieve pain relief. If our patients can be treated with gentle, regenerative medicine, we always recommend that as a first choice. Contact us today to get your customized pain management plan. 1-864-235-1834.